Understanding Programming Languages explains what alternatives are available to the language designer, how language constructs should be used for safety and readability, how language constructs are implemented, the role of language in expressing and enforcing abstractions. 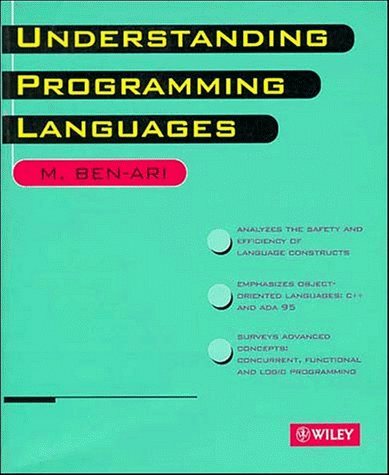 The book compares constructs from C with constructs from Ada in terms of levels of abstraction. Studying these languages provides a firm foundation for an extensive examination of object-oriented language support in C++ and Ada 95. The final chapters introduce functional (ML) and logic (Prolog) programming languages to demonstrate that imperative languages are not conceptual necessities for programming.